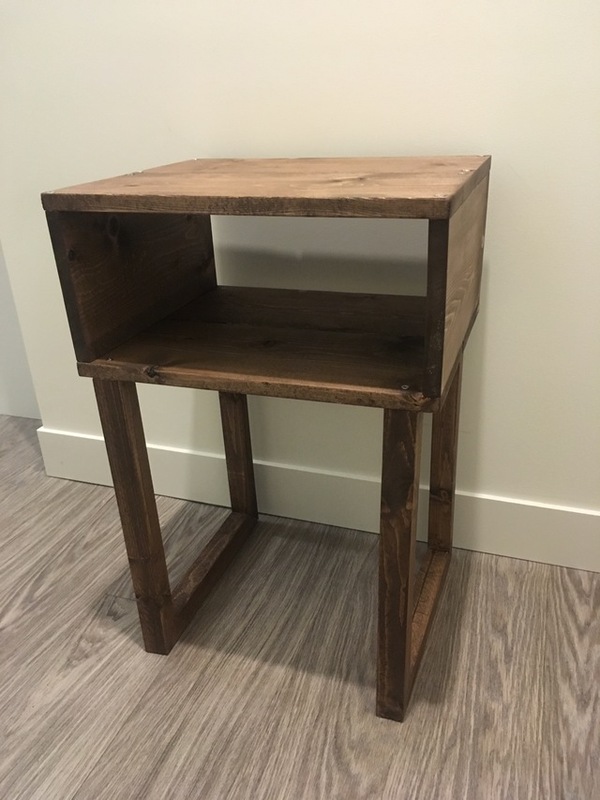 Modern Rustic style side table. Hand built with stained pine. $70 each or 2 for $120.